The Indiana Chamber’s monthly Policy Issue Conference Call in May focused on guidance in matching military veterans with available job openings. The American Jobs for America’s Heroes campaign, which is leading the way in that effort, has a publication for federal contractors to ensure they are meeting new guidelines. 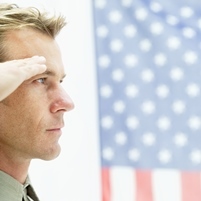 American Jobs for America’s Heroes (AJAH) has published a free “business English” summary guide to the new OFCCP VEVRAA regulations requiring that 7.2% of new federal contractor hires are “protected veterans.” (This percentage will be updated annually by the Office of Federal Contract Compliance Programs). If a company has at least one federal contract with a value of $100,000 or more, then the company is subject to new regulations issued under the Vietnam Era Veterans’ Rehabilitation Assistance Act (VEVRAA) that went into effect on March 24, 2014. This free AJAH Guide distills 60 pages of confusing regulations into an easy-to-follow guide for meeting VEVRAA requirements. The AJAH campaign enables employers to post jobs at no cost that are provided directly to military employment counselors in the National Guard and other military branches. These counselors are working one-on-one with military candidates to match them with postings. All services are free. You can register to participate in five minutes and access many free educational videos, booklets and webinar replays. Questions? Contact: Steve Nowlan, Center for America, at 201-513-0379. This entry was posted in Human Resources and tagged AJAH, American Jobs for America's Heroes, Center for America, federal contracts, hiring veterans, OFCCP, Sen. Joe Manchin, VEVRAA by Tom Schuman. Bookmark the permalink.